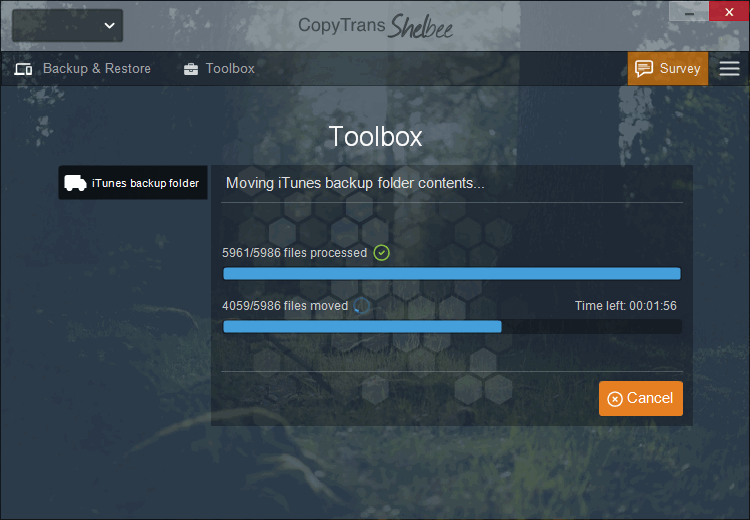 Home » How to transfer your iTunes library to another hard drive? If your iTunes library is too large and it threatens to take over your PC, you can easily move the library to another drive on your computer or an external hard disk. 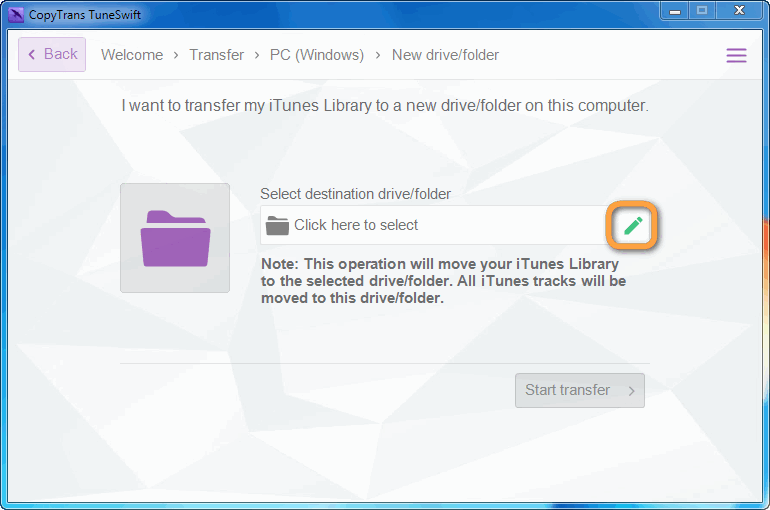 This tutorial demonstrates how to transfer iTunes to another drive; the method is compatible with all the latest Windows versions, including Windows 10. NOTE: There is a difference between transferring your iTunes library to a new computer, or simply transferring iTunes to a new hard drive/folder. In the prior case, TuneSwift will make a copy of your iTunes library and save it, so you can restore the library to a new PC. In the latter case, to which the present article refers, your iTunes library will be literally moved from its original location to the new location on the new system hard drive or the external HDD. This means that, after the transfer, your iTunes library will no longer be found in its original location. From the “External hard drive” or “New folder/drive on this computer” page, click on the Green pencil symbol. Then select the drive/folder from the pop-up window and click OK.
After the transfer process is complete, your iTunes library has been successfully transferred to the new location. Every time iTunes syncs with your iPhone or iPad, it backs up the device to a hidden folder on your PC. As time goes, this hidden iTunes backup folder eats away the free space on your PC.